Counties in Illinois will be able to tap into their animal population control funds to support programs aimed at reducing feral cat populations, thanks to legislation signed late last month by Gov. Bruce Rauner. Through the four-step program known as trap, neuter, vaccinate and return, or TNVR, feral and stray cats are humanely trapped and treated before being returned to their original outdoor locations, according to the animal advocacy group Best Friends Animal Society. Under the new law, counties can opt to use a portion of the revenue collected from pet registration fees to pay for TNVR programs. The funds come from the same revenue pool – $10 set aside from each pet registration – used to spay, neuter or sterilize dogs or cats for low-income residents, according to Sen. Linda Holmes, who sponsored the legislation. Holmes said that each county can determine how to use those funds, based on residents’ needs. Counties with large low-income populations, for example, might choose to dedicate 100 percent of those funds to support the needs of residents, while counties with smaller low-income populations may decide to spend more funding on TNVR programs. Euthanizing feral cats creates a “revolving-door problem” in which new feral cat colonies replace those that were removed, Holmes said. TVNR programs work instead to control cat breeding, reducing the overall population, she said. “I think it’s a positive step and a much more humane approach to dealing with feral cats,” Holmes said. The law, which goes into effect Jan. 1, 2018, exempts counties with populations of at least 3 million people. In other words, Cook County is exempt. That does not mean the county is ignoring the issue. In 2007, Cook County passed its Managed Care of Feral Cats ordinance, which allows animal humane societies to sponsor feral cat colonies. Under the ordinance, trained caretakers help maintain and care for feral cat colonies by providing food, water and shelter. The cats must also be neutered, vaccinated, microchipped and eartipped, according to Dr. Donna Alexander, administrator of the Cook County Animal and Rabies Control. 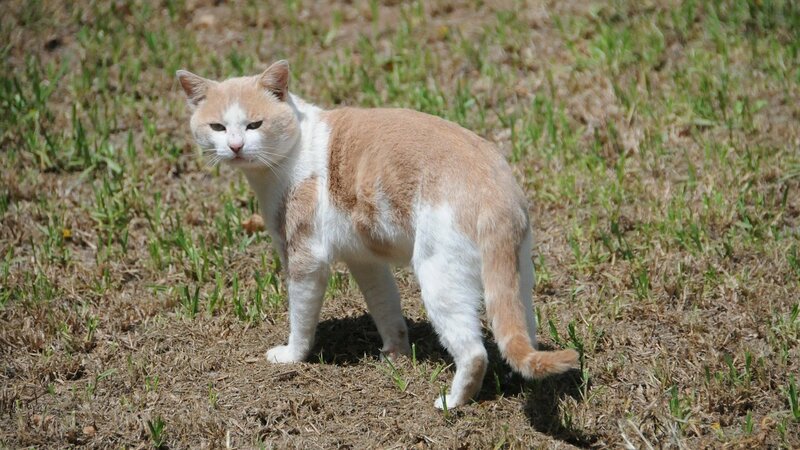 “Prior to the Managed Care of Feral Cats ordinance we were spending hundreds of thousands of dollars to capture and kill cats without reducing the population of cats,” Alexander said. Since 2007, there’s been a 20-percent reduction in the feral cat population in Cook County. “We have a program that works and that’s why the county was exempt,” she said of the new legislation. While sponsors are financially responsible for the feral cat colonies, the county provides rebates for animals that are neutered and spayed during the month of February – which is the peak time for breeding, according to Alexander. Aug. 23: Pet owners should not panic, local health officials say, but take precautions after a rabid kitten was found in Carroll County. March 8: Last month, ornithologist Pete Marra sat down with Chicago Tonight to discuss his book detailing outdoor cats’ impact on U.S. bird populations. It was an interview that stirred up emotions on all sides. Feb. 1: A Smithsonian ornithologist says outdoor cats are devastating bird populations.